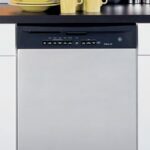 How to troubleshoot and fix common dishwasher problems, including a dishwasher that doesn’t run, fill or drain. 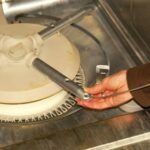 You can handle some types of dishwasher repairs yourself, but if these techniques don’t work, call a professional who is certified to handle the make of your appliance. If your dishwasher stops working properly, it isn’t the end of the world, but it does put the kibosh on one of the luxuries that adds to your quality of life. Because fixing a dishwasher isn’t usually an emergency, you have the opportunity to troubleshoot problems and try to solve them yourself before calling an appliance repair person. 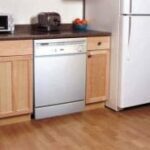 The following should help you handle repairing a dishwasher that doesn’t run right—or doesn’t run at all. 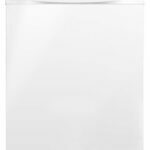 If your dishwasher leaves spots or film, or just does a poor job of cleaning, see Dishwasher Washes Poorly. If it leaks or makes noise, see how to Repair a Dishwasher That Leaks or Makes Noise. HomeTips Pro Tip: Before you begin troubleshooting, unplug the dishwasher or shut off its electrical circuit, and turn off the its water supply valve. Don’t work inside the dishwasher immediately following a cycle because the dish-drying element at the bottom may still be hot. Reset the ground-fault circuit interrupter (GFCI). 1Be sure the power is on, the door is latched, and the control is engaged. If absolutely nothing happens—in other words, nothing on the control panel lights up and there are no other signs of life—the appliance may not be receiving power. If the dishwasher’s cord is plugged into a receptacle, check to see if it is a GFCI receptacle with a reset button. If it is, push the reset. If it isn’t or if the dishwasher’s cord is wired directly into the electrical box, look for any other receptacles in the kitchen that have a reset and and try resetting them. (This is a long shot, but it’s easy to do and may solve the problem if the dishwasher is on the same circuit.) To test a receptacle for power, you can also just plug a working hand-held appliance into it. 2Check the electrical panel that serves the dishwasher for a tripped circuit breaker or blown fuse. If you find one, switch the breaker to OFF and then back to ON or replace the fuse. 3Check dishwasher switches & timer. If electrical power is available to the dishwasher but the appliance doesn’t run, the problem is likely a defective door switch, timer, or selector switch. To solve a door switch problem, you may be able to adjust the door latch’s strike slightly, using a screwdriver (turn off the power to the dishwasher at the electrical panel first). If the problem is with the timer or selector switch, it’s best to call an appliance service person. If your dishwasher runs but doesn’t fill, either something is wrong with the water supply system or it is draining water too soon. 1Make sure the water is turned on. Check the hot water supply stop valve, normally located under the sink. Open it all the way by turning it counterclockwise. If there is no reason this would have been turned off since the last time the dishwasher worked, go on to the next step. 2Turn off the power to the dishwasher. When the dishwasher is cool (in other words, not right after a wash cycle), look for the float inside the dishwasher; this is usually a small plastic dome or cylinder mounted inside at the tub’s base, near the front. When you move most types of floats up and down, you can hear them click because they trip a lever (they are spring-loaded). Lift out the float mechanism, and clean around the float tube. Many floats must be disconnected from below; to do this you’ll have to remove the lower access panel. Rinse off the float, replace it in the tube, and make sure it moves up and down freely. 3Shut off the hot water valve to the appliance. Locate the water intake valve, behind the dishwasher’s bottom front panel. Disassemble the valve to reveal the screen. Clean any debris from the screen and reassemble the valve. If the screen doesn’t appear to be blocked, call an appliance repair person. Any of several parts—including the water inlet valve, pressure switch, and timer or selector switch—may be faulty. If the water flow to the dishwasher doesn’t automatically shut off, the float switch is faulty, the timer is stuck on Fill, or the water inlet valve is stuck open. 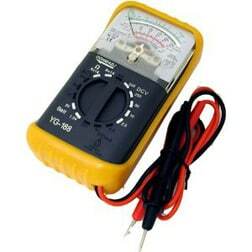 To test the float switch, you’ll need an inexpensive multimeter like the one shown here, which costs under $10 online. 1Unplug the dishwasher. Reach into the cabinet and lift up the dome-shaped plastic float switch. If it doesn’t lift up, remove the plastic top from the stem, scrub the stem clean, and then replace the dome. If it moves up and down freely, go on to Step 2. 2Note which wires are attached to the float switch’s terminals, and, using small pieces of tape, label them for future reference should you need to replace the switch. 3Set the volt-ohm meter’s dial to Rx100 and touch the two probes to the terminals. When you lift up the float, the tester’s needle should show an infinity reading, and, when you let the float drop, the needle should show a 0 reading. If it doesn’t, the switch is broken and needs replacing. Unscrew it from the tub, take it to your local hardware store or home improvement center, buy an identical replacement part, and then install it. Following a cycle, a small pool of clean water inside the tub is normal. An excessive amount of water means the pump isn’t pumping water out properly, the drain hose isn’t carrying it to the drainpipe, or the house’s drain lines are backed up. 1Remove the cover from the air gap at the top of the sink (usually a short chrome domed cylinder that sits at the back of the sink), and, using a stiff wire, clean it out. Also check the entire length of the drain hose for kinks or blockages, especially at the drain connection to the disposer or drain line. Lift out the strainer at the base of the dishwasher. 2Once the dishwasher is cool, shut off the power to it, and—if your dishwasher is made to allow this—remove the strainer (shown at right), located under the bottom spray arm at the base of the cabinet. Unscrew the hubcap, lift the spray arm off, and remove any clips that hold the strainer to get it out. Scrub it clean with a brush and then replace it. 3Determine whether the sink trap or house drain line is clogged. If the sink is backing up, the drain is clogged. If this is the problem, see Sink & Drain Repairs. 4If the dishwasher still doesn’t drain properly, the drain hose may be clogged or the drain valve may need replacement. You can check the drain hose for obstructions, but this usually involves pulling the dishwasher out from under your counter to access the hose, disconnecting the hose at both ends, and flushing it out with a faucet or garden hose, or replacing it with a new hose (see dishwasher hose repair kits).